A lot has changed since the Serverless Framework was established in 2015 and the project is getting a ton of awesome upgrades. We'll review them and discuss how they are going to enable developers to do more than ever. Build faster with Serverless Components, which are composable, application-level, serverless building blocks. Do more with the Event Gateway, which allows you to react to more events with serverless compute. And operate your apps easily with the Serverless Dashboard. Hey Serverless, what's new in Azure Functions? Let's have a look at the latest and greatest in Azure Functions. Local development with VS Code is functastic! Code and debug your functions on your machine and easily publish them to the cloud. Furthermore, we'll look at Durable Functions, which enable you to simplify complex, stateful coordination problems in serverless applications by defining stateful workflows. Ben Kehoe is a Cloud Robotics Research Scientist at iRobot and an AWS Community Hero. Cloud Robotics—using the internet to enable robots to do more and better things—is an area of IoT involving computation in the cloud and at the edge, Big Data, and machine learning. Approaching cloud computing from this angle, Ben focuses on developing business value rapidly through serverless (and servicefull) applications. He completed his PhD at UC Berkeley with a dissertation on cloud-based robot grasping. Ben seeks to amplify voices from dev, operations, and security to help the community shape the evolution of serverless and event-driven designs for IoT and cloud computing more broadly. Serverless architecture is a fantastic enabler for lean teams, smaller bills, and more robust systems. As with any nascent technology, there are still a lot of rough edges. This talk will cover those rough edges: what to be aware of, how to tackle or work around them, and the path forward for providers to reduce these pain points. Throughout the talk, I'll explain why, in spite of these pitfalls, serverless architecture is absolutely worth the effort, and how we've used it to enable consumer IoT at scale at iRobot. Michael have developed web-sites and -services for almost 20 years. At first it was pure HTML, then ASP classic and then .NET. Today no project tends to be writing in one language and therefore also a broad experience with NodeJS, Typescript, document databases, Elasticsearch, multiple CI/CD systems and how to automate everything. For the last 6-8 years it has primarily been HTTP APIs and backend services for some of the largest public web sites in Denmark. For the last couple of years, he have had his head in the clouds – both AWS and Azure, exploring the possibilities when you treat your servers as cattle instead of pets. Apart from writing code he also often spend a lot of time talking to people to make them – and himself – write better code. Part of the core group organizing ANUG (Aarhus .NET User Group) meetups. Often serverless platforms as AWS Lambda or Azure Functions are heralded as an almost magic shortcut to a Microservice architecture, where you can get started writing and deploying code almost instantly. And while you can use these platforms as foundation for microservices, it is by no means given that is what you will end up with. If you don't take care you might end up being stuck with highly coupled code, that are way harder to debug and troubleshot than a good old-fashioned monolith. In this session I’ll show some of the pitfalls and more importantly how to avoid then. How to code and deploy your services to not end up with the much-feared Distributed Monolith. Marcia is a full-stack developer leading a Serverless project at Rovio, the creators of Angry Birds. She is passionate about learning and trying new technologies. She thinks that Serverless is an empowering practice for developers and entrepreneurs to develop their ideas faster. This talk will cover practical aspects on how to manage serverless projects with multiple services and environments. How to solve the challenges of architecting, developing, deploying, testing and keep track of what is going on with your AWS Lambda and its resources in multiple environments. John McCabe is a contributor to the OpenFaaS project, and a senior engineer at Puppet working on cloud and future tech. He is passionate about making the complex simple, and enjoys attending conferences around the world, Raspberry Pi hacking and Go. OpenFaaS (Functions as a Service) makes building serverless functions simple by using containers to avoid vendor-lock-in. That means you can run your functions on your own terms - anywhere. This talk introduces the OpenFaaS project, how to build functions and then explores real-world examples of how and why people are leveraging an event-driven architecture. You can deploy OpenFaaS in 60 seconds on Kubernetes and other orchestrators through the extensible architecture. Functions can then be built using code templates for your favourite programming language or deployed directly from the community Function Store. The project focuses on ease of use through its UI and CLI which can be used to test and monitor functions. Observability and auto-scaling for demand are provided through integrations with Prometheus and AlertManager. OpenFaaS won Best Cloud Computing Software 2017 from InfoWorld and has a thriving community with 75 contributors, 1500 commits and over 10k stars. Yan is a polyglot developer and architect, he is a regular speaker at user groups and conferences internationally. Yan is the author of AWS Lambda in Motion, a co-author of F# Deep Dives, and he keeps an active blog at theburningmonk.com where he shares his thoughts on topics such as AWS, serverless, functional programming and chaos engineering. Can we apply the same principles of chaos to a serverless architecture built around AWS Lambda functions? Can we adapt and modify existing practices to expose the inherent chaos in our serverless applications? What are the limitations and new challenges that we need to consider? Join us in this talk as Yan Cui shares his thought experiments, and actual experiments, in his pursuit to understand how we can apply the principles of chaos to a serverless architecture. A word of warning though, you’re guaranteed to walk away with more questions than answers! Damien is an entrepreneur and a developer who wants every developers to find a job they loves. That is what we do at WeLoveDevs.com, we helped 2000 developers so far ! Serverless and especially Firebase are often considered as "not ready for large scale". Our inner over-engineering-freak loves to deploy "heavy stuff" and large backend while it would have been enough. At WeLoveDevs.com, we are helping developers to find a company they will like to work at. We have introduced to developers, more than 2000 position in 2017. Our secret sauce is to train a ML Model that is learning what kind of companies you love and predict the right one. This talk is more a feedback about how and why we built our system on top of Firebase SDK. We have shutdown our node server. Now we do 200K functions invocation a month. Spoiler : big things happen at scale (25min long functions, functions that requires 1Gb of memory), and it works. Andreas has studied Computer Science and Law and holds a PhD in the former. He is currently working for IBM’s Research & Development Lab located in Boeblingen, Germany. During his career he has hold various lead positions in different roles ranging from a lead software engineer to a lead software architect. He also has been a team- and technical lead and head of multiple research groups. Today, Andreas is working for IBM's Cloud division where he is a Senior Technical Staff Member (STSM) and the technical program/product manager for IBM's serverless solution named IBM Cloud Functions. In this role he acts as an entrepreneur, strategist, technical visionary, cross-functional team leader, and client advocate. He influences the actions of diverse cross-functional teams as the market authority, acting as a "general manager" for his scope of the business. In particular, he helps to define the new product to be built and to manage its development, launch, and ongoing improvement. He is actively working with sponsor clients and potential partners. Andreas is seen as one of the experts in the field of serverless computing and one of the key faces behind Apache OpenWhisk & IBM Cloud Functions known far beyond the borders of IBM. IBM Cloud Functions is IBM's Function-as-a-Service (FaaS) platform based on Apache OpenWhisk. As a serverless platform it abstracts servers away, relieving developers from worrying about complex infrastructural and operational tasks allowing them to focus on quickly developing value-adding code. During this talk we will recap key concepts and strengths and explain why FaaS platforms are ideally suited to a wide range of scenarios including cognitive, data, IoT, microservices, and mobile workloads by exploring some real-world customer use-cases. We will discuss architectures, design considerations and economical benefits. We will also highlight some of the most recent technical additions like our Composer which allows to develop way more complex and entirely serverless solutions by composing individual functions into larger applications using control logic and state. Martin is a speaker, mentor, leader and evangelist for agile practices and microservice technologies. He seeks to help engineers maximize their potential, and the value they produce, promoting a pragmatic and open mindset to solving challenges, in the most agile way possible. Martin is VP of Engineering at Trustpilot, an open online review community, with over 41 million reviews of more than 200.000 businesses. Trustpilot has been exclusively using cloud technologies for 7 years, and has been early adopter of microservices. At Trustpilot, we have an engineering principle called “Serverless First”. When we build, we always consider how we can leverage serverless technologies to help us. In this talk, I’ll share why we do it this way, and why we believe it enables us to scale, not only our systems but also our organization. I will give some practical examples of how our use of serverless technologies have helped us, but also some examples where we had to go different routes for different reasons. Don’t expect a silver bullet, but expect to learn a bit from our experience and better know when to apply a serverless technology, and when not to. You used to walk everywhere; then you bought a bike. Now you walk everywhere carrying a bike! That's how I feel every time I see someone creating an SPA, then hosting it on a PaaS or a VM. Your SPA is a bike, and I'm going to teach you how to ride it. I'm going to teach you how to take advantage of optimisations that give you epic scalability, with super low latencies at a fraction of the cost. 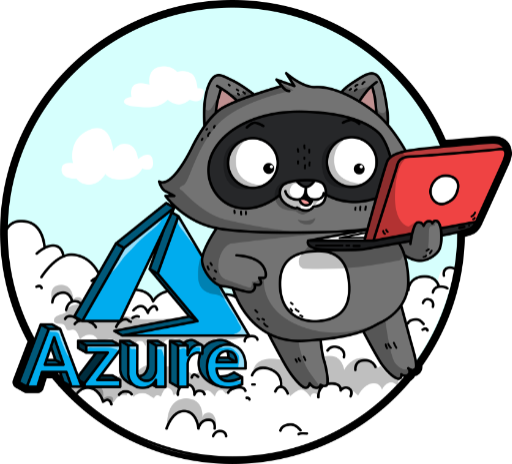 I'm going to demonstrate why serverless is the perfect companion to SPAs and how to architect the REST of your application using Azure Functions and Azure Logic Apps. By the end, you'll walk away knowing how to convert a legacy monolithic server-side web application over to a full serverless stack fronted by an SPA. Bret McGowen is a Developer Advocate for Serverless on the Google Cloud Platform team at Google, focusing on serverless products like Google Cloud Functions, App Engine, Firebase, machine learning APIs, and more. He's currently an aspiring Node.js developer. Prior to Google, Bret worked as a software engineer in the cloud industry at Rackspace. Before that, he led engineering teams at e-commerce and non-profits and tried his hand at creating two startups. He's often on the running trail, volleyball court or kickball field. Come learn what serverless means for Google Cloud and Firebase, and how we're building tools beyond Functions-as-a-Service to help you create powerful serverless applications. With live demos, Bret will cover Google Cloud's serverless compute, big data and machine learning tools, as well as Firebase, Google's serverless backend for mobile and web developers. 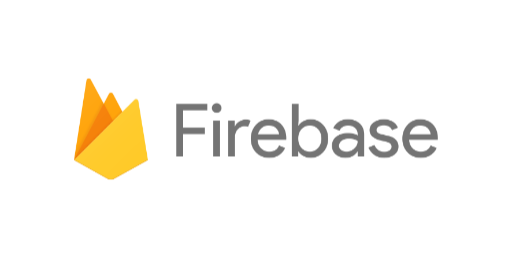 Firebase can help you add powerful features to your applications, with everything from real time data updates, user authentication, monetizing your apps, and more. Learn how to leverage the power of Google to quickly build autoscaling apps - all without managing servers or application runtimes. Gillian works as Technical Lead on the Cognitive Technologies team in Liberty IT. Her team is focused on exploring and using innovative technology in interesting new ways. At the moment she is working on Conversational AI design and development, and is excited to be able to bring this experience to Liberty Mutual's new venture - Workgrid Software. She has more than a decade’s worth of experience in many technologies across the full stack, and loves being a software engineer as it allows her not just to think up big ideas, but also to make them a reality. Building a simple chatbot is simple - building a great one takes a lot more work. Serverless technology and AI services have put very powerful tools into any developer’s hands, but the ease of using them can make us forget some very basic things - and not even spot some more complex ones. So, set aside that chatbot you created with that 30min online tutorial. Let me walk you through the journey of designing and building a smarter chatbot using the learnings from my own experiences and mistakes building a digital assistant chatbot. Do serverless cloud platforms leave you with more questions than answers? This session will focus on migrating from traditional applications to serverless cloud platforms. You’ll learn about serving files without a web server, managing application state in a stateless environment, running background processes in ephemeral runtimes and more. These techniques will enable you to build modern applications using serverless platforms. This session is for developers who see the benefits of serverless but are struggling to adjust to a serverless world. Slobodan Stojanović is CTO of Cloud Horizon, a software development studio based in Montreal, Canada. He is based in Belgrade and is the JS Belgrade meetup co-organizer. He is also a Claudia.js core team member and co-author of the "Serverless Apps with Node and Claudia.js" book published by Manning Publications. Serverless is more than a cloud computing execution model. It changes the way we are planning, building and deploying apps. But it also changes the way we are approaching testing apps. This talk explores the way we are and should test serverless apps, differences between testing traditional and serverless apps, and how does serverless affect other types of testing, including manual testing and UI testing. Nitzan is the CEO and co-founder of Epsagon, focusing on helping companies transition their applications to serverless, by providing a complete solution for troubleshooting and end-to-end performance monitoring. Nitzan is a software engineer with over 10 years of experience in infrastructure technology and cyber-security. The way we develop and deploy software has changed dramatically the last few years. This makes understanding the entire ecosystems of our applications even more critical than ever. But how can we be sure that we have the right monitoring in place to keep up with our increasing developer velocity? In this session we will take you through the evolution of applications and the monitoring challenges modern applications present. Worried about performance issues in your user experience? Discover the metrics that are critical when monitoring your serverless applications. A serverless expert will take you through the evolution of application architectures and their monitoring challenges. Participants will learn how to better monitor and troubleshoot issues and better understand how the events in their serverless applications are connected. This session is helpful for people who have a basic understanding of serverless environments as well as seasoned serverless developers. Mike helps developers build better mobile and web apps as a product manager on the Firebase team. Mike has been working on Firebase for four years, and has worked developing iOS apps at the Omni Group and building microprocessors at Texas Instruments. In his free time, he enjoys spending time in the outdoors, cooking, and hacking on embedded hardware. Firebase and Google Cloud Platform together allow developers to build extraordinary mobile and web apps quickly. In this talk, we'll craft an app live on stage and demonstrate how to create a great user experience using Firebase and GCP. You’ll experience firsthand how easy it is to build with Firebase, and how easy it is to scale with Google Cloud Platform--all without spinning up servers or managing infrastructure. I am Sugandha Agrawal, sotware engineer at IBM Germany. I completed my Masters in Information Technology from University Stuttgart with specialization in Cloud computing technologies and web services. I mostly work in front-end development and Devops (with Kubernetes). I am totally new to the Serverless world and exploring it is on the go. 6 years, and have been part of a number of conferences as speakers and co-organizers. this time dedicated to the world of serverless.